*While I'm in Europe - today I leave Rome and fly to Barcelona - I've lined up some fabulous guest posters. Please welcome Roxy from Keeping Up With Roxy's Books! Hey everyone! My name is Roxy and I run Keeping Up With Roxy’s Books. If I could describe myself in three words they would fun,outgoing, and a total Bunhead. I love books more than I love cupcakes, which has become quite a serious problem. Even though I read this book at the beginning of the year, this novel is still branded into my mind. 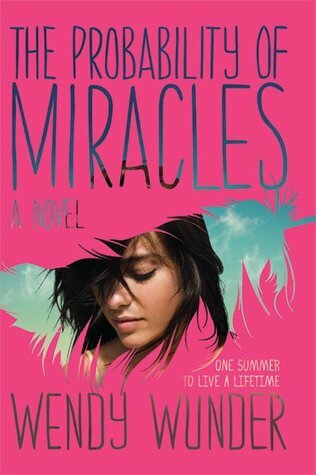 The story is about a sarcastic sixteen-year-old girl named Cam diagnosed with cancer and only has one summer left to live before she dies. She ends up spending the summer in a “magical” town in Maine named Promise with her hula-dancing mother and unicorn-loving sister in hopes that spending time in Promise will heal her cancer. Promise is supposed to be a miracle town, performing miracles left and right, but Cam begs to differ. She would stop at nothing to end this miracle business that her mom and sister believe and help them understand that she is going to die no matter what. But when she meets Asher everything changes. When she starts to spend more and more time with him, Cam realizes that there is room for miracles, no matter what the circumstances are. I recently read this book and I was actually blown away. I’ve heard countless times about people raving on and on (and on) about this book. At first I wasn’t really intrigued by the idea of reading it because of the cover. I know, I know. I sometimes judge books by their covers, BUT I read it because of the award it received and reviews I heard. So I thought why not? After I read it, I was really glad I burned my eyeballs reading it. 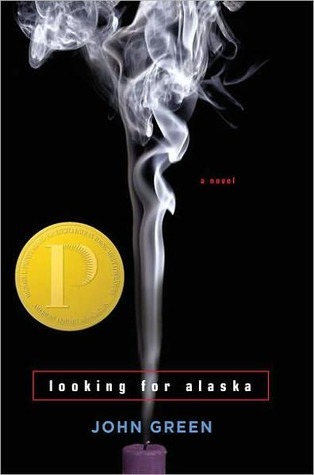 With its unique and diverse structure, Looking for Alaska is one of those stories where you sit down in your comfy reading spot with a cupof hot chocolate and read about life. A boy named Pudge goes to the weirdest yet coolest boarding school on the planet in Alabama. There he meets a whole bunch of new people that he didn’t even know could have such personalities. There’s the Colonel, Takumi, and Lara, but then there’s Alaska Young. Alaska is just well, Alaska. In Alabama he develops as an individual with the help of his new friends along with Alaska. Then one night, everything goes wrong. Really wrong. Pudge isn’t sure he can go back to his normal self after that one dreadful night. This book instantly puts a smile to my face. Everything about it: the cover, the writing, and the characters. Everything. I’m happy to report that I honestly had a hard time finding flaws to this book. This is a book that is definitely worth a read. 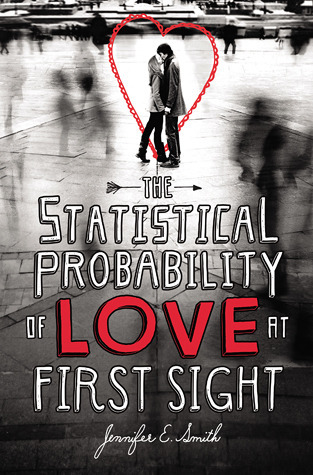 Let me start off by saying, that I think the author did a superior job with writing the story mainly because the story is about a boy and a girl, named Oliver and Hadley, that meet on an airplane and fall in love in less than twenty-four hours. Hadley is supposed to go to London for her father’s second wedding and dreads going. Just by talking to Oliver, she realizes that she can’t stay mad at her father forever merely because he divorced her mom. This story is all about friendship, forgiveness, and love. So there you have it! Here are my top three reads that will make you cry, scream, and devour a tub of ice cream (presumably cookies and cream). What about you guys? Do you have any other books similar to these? Please be careful in Barcelona! The US embassy in Barcelona gives out the fourth-most emergency passports in the world. My family and I were nearly carjacked there, and my purse was stolen from the car, with all my identification. And the police are more horrendous than the thieves. The only book I have not read is The Probability of Miracles. I love these types of stories. Raw with lots of emotions.